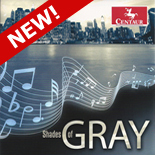 "Shades of Gray leaves the right impression of Gray's clarinet virtuosity." "I can hardly believe Centaur Records has come up with such an incredible reading... I was quite startled to hear this group's unanimity of ensemble and supercharged, amazingly coherent viewpoint. Gary Gray, clarinet professor at UCLA and widely heard west coast performer sounds about as close to Reginald Kell (another iconoclast) as I've ever heard. Something this group is doing... gets right to the heart of the music." ... "if this is your only recording of the Brahms Op. 115, you do well! Regarding the peformance of the Dohnanyi Sextet Op. 37, I think I can confidently add that this issue is full and sensous, with more superb playing." 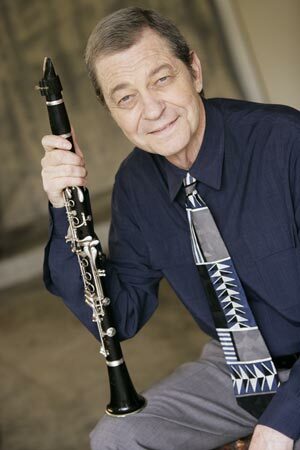 Clarinetist Gary Gray enjoys a versatile career as a concert artist, Hollywood studio recording musician and Professor of Clarinet at the University of California at Los Angeles. Former Principal Clarinetist of the Los Angeles Chamber Orchestra, he is most recently concertizing with the Pacific Serenades Chamber Ensemble, the Classical Encounters chamber series and the Alexander and New Hollywood String Quartets. Mr. Gray's previous recording for Centaur Records with the New Hollywood String Quartet was assisted by Robert Thies, piano and Richard Todd, french horn; it includes Brahms' Quintet for clarinet/string quartet, Op. 115 and Dohnanyi's Sextet Op. 37 for clarinet / horn / piano / violin / viola / cello. His most recent recording is Shades of Gray. This CD can be ordered here.